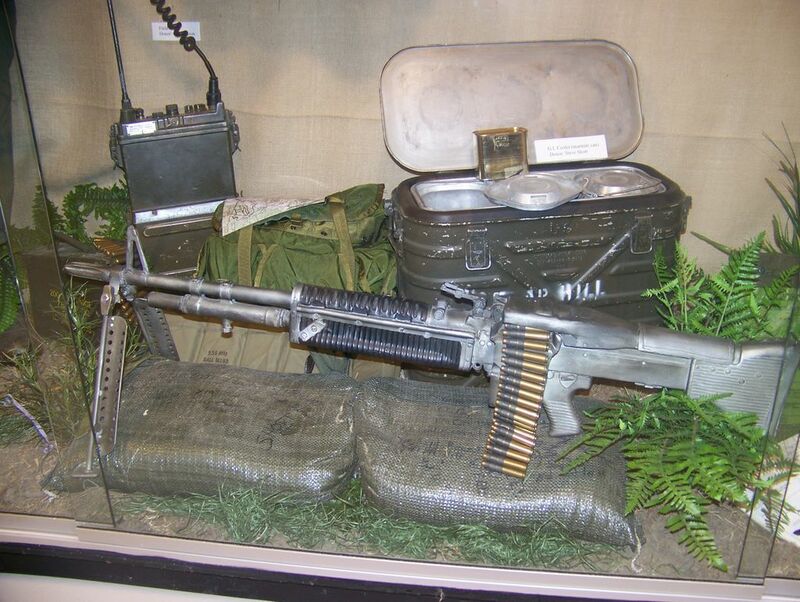 In the large display case you can see a model of the M-60 machine gun, so often seen in Vietnam movies. A Merimite container behind it was used to keep foods served in the field, hot for hours. To the left of that is a field backpack, an M-16 bandoleer, ammunition can, and a PRC-25 radio also used in predominantly Vietnam.